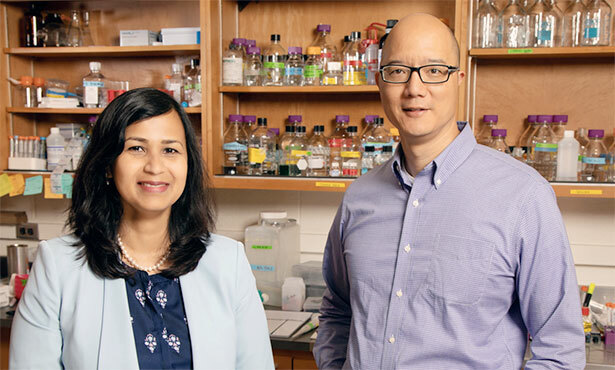 A class of molecules formed when the body metabolizes omega-3 fatty acids could inhibit cancer’s growth and spread, University of Illinois researchers report in a new study in mice. The molecules, called endocannabinoids, are made naturally by the body and have similar properties to cannabinoids found in marijuana – but without the psychotropic effects. In mice with tumors of osteosarcoma – a bone cancer that is notoriously painful and difficult to treat – endocannabinoids slowed the growth of tumors and blood vessels, inhibited the cancer cells from migrating and caused cancer cell death. The results were published in the Journal of Medicinal Chemistry. Since cannabis has been shown to have some anti-cancer properties, in the new study the researchers investigated whether EDP-EAs also affect cancer cells. They found that in mice with osteosarcoma tumors that metastasized to their lungs, there was an 80 percent increase in naturally occurring EDP-EAs in cancerous lung tissues over the lungs of healthy mice. The researchers found that in higher concentrations, EDP-EAs did kill cancer cells, but not as effectively as other chemotherapeutic drugs on the market. However, the compounds also combated the osteosarcoma in other ways: They slowed tumor growth by inhibiting new blood vessels from forming to supply the tumor with nutrients, they prevented interactions between the cells, and most significantly, they appeared to stop cancerous cells from migrating. 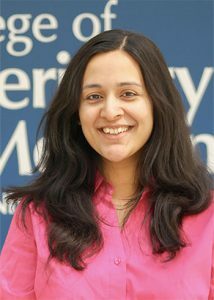 Graduate student Jahnabi Roy was the first author of the study. Next, the researchers plan to perform preclinical studies in dogs, since dogs develop osteosarcoma spontaneously, similarly to humans. They also plan to study the effects of EDP-EAs derived from omega-3 fatty acids in other cancer types. “Particular cancers that might be most interesting to study would be solid tumors or carcinomas, which tend to spread and cause pain within the skeleton. Some of the most common tumors that behave this way are breast, prostate, and lung carcinomas, and we can certainly explore these tumors in the future,” said Dr. Fan, who is also a member of the Carle Illinois College of Medicine, the Cancer Center at Illinois and the Carl R. Woese Institute for Genomic Biology. Dr. Das is an affiliate of the Neuroscience Program and the Beckman Institute for Advanced Science and Technology at the U. of I. The National Institutes of Health and the American Heart Association supported this work.